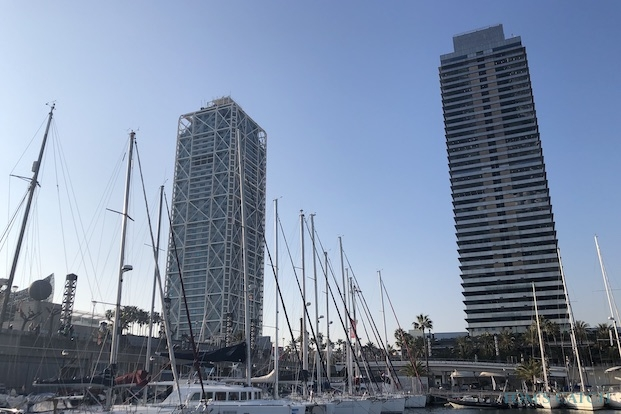 Fishing in Barcelona is extremely popular, with many ports in the province that offer moored fishing charters throughout the year. 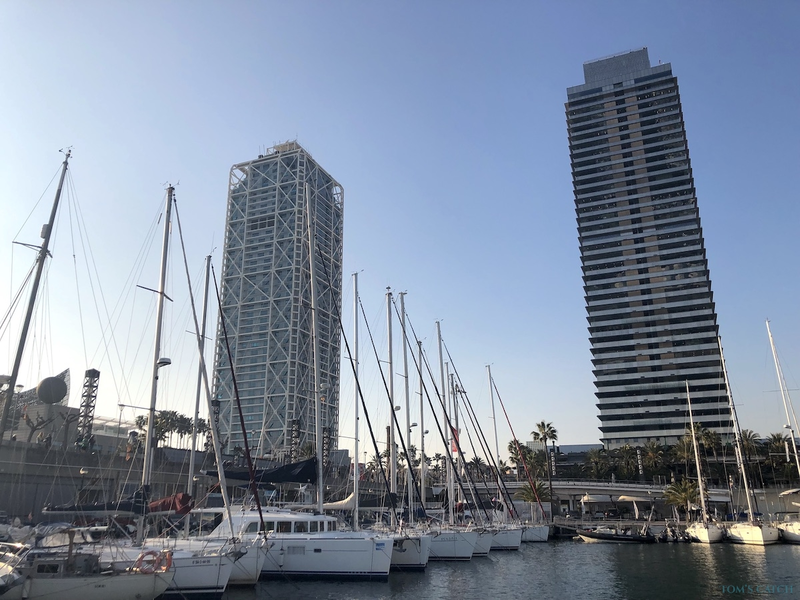 From Barcelona to Tossa de Mar, through to Masnou, Premià, Mataró, Arenys de Mar, Malgrat de Mar, Blanes, Vilanova i la Geltru, Sitges and Castelldefels you’ll find emblematic ports that attract even the most experienced of fishing fanatics from far and wide. 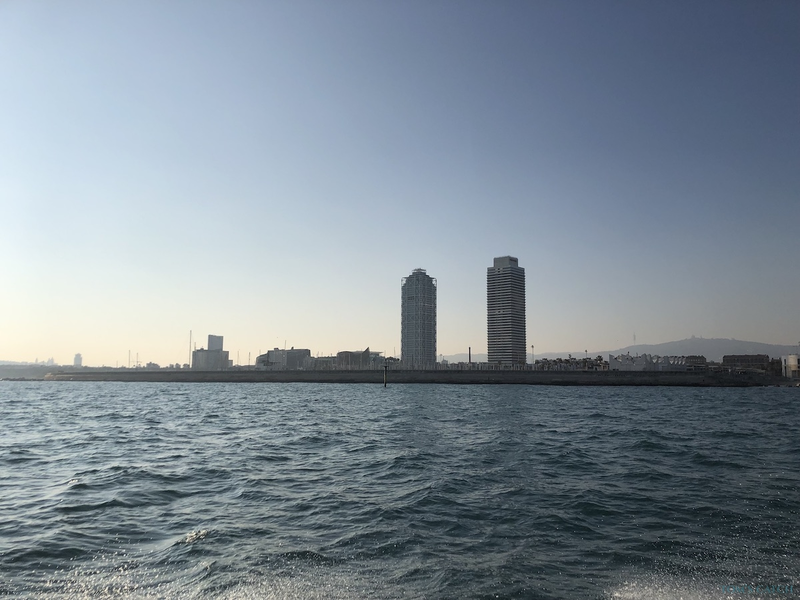 From inshore fishing targeting smaller reef fish like sea bream, snapper, mackerel & bonito, spinning for bluefish & leerfish to big game off shore tuna fishing, we love fishing in Barcelona. Bluefin Tuna: This kind of tuna is one of the most coveted species in Barcelona’s fishing waters. It is distinguished from rest of the species of tuna by its dark metallic colour on its back and the clean white underbelly tone. Bluefin tuna can reach high speeds and provide a real challenge to catch, making it one of the most sought after species in the world of sport fishing. Dolphinfish: El Dorado, as it is popularly known, is one of the most beautiful fish that can be fished in Barcelona. 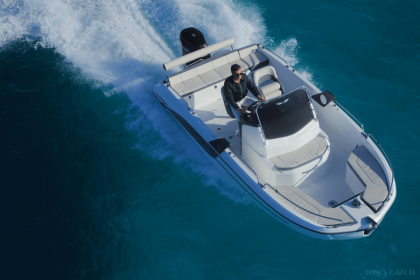 It has a very agile nature and they provide a truly passionate style of sport fishing. It has shiny, blue, yellow or green tones, and occasionally comes out of water, but when they notice the hook they will quickly submerge again. Bluefish: This is one of the most popular fish species caught in the region. Like amberjack are distinguished by their spinal column, which has no gap and has an attractive blue-gray on the back, which gradually turns white as it reaches round to the belly. It is considered an insatiable fish and can often be seen swimming through large banks of bait fish. Little tunny: The little tunny - not to be confused with the Atlantic bonito - is a small member of the tuna family. Don’t be fooled by their modest size: they are the most skilled in terms of struggle and strength. They can grow between 60 and 100cm of length (the largest known specimen measured 120cm and weighed close to 17kg). 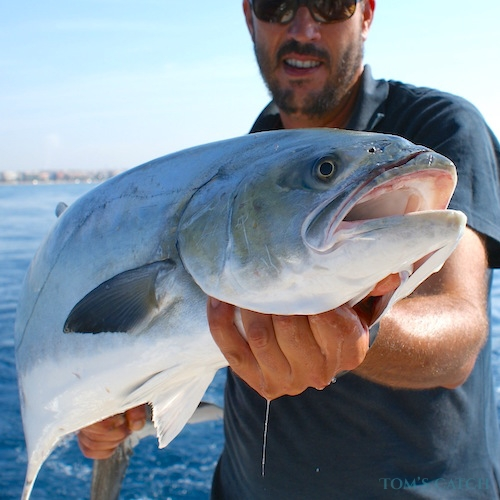 To capture the little tunny the most common methods are trolling and spin fishing. The little tunny can also be caught by trolling artificial lures with squid, halco, rapala or yozuri. 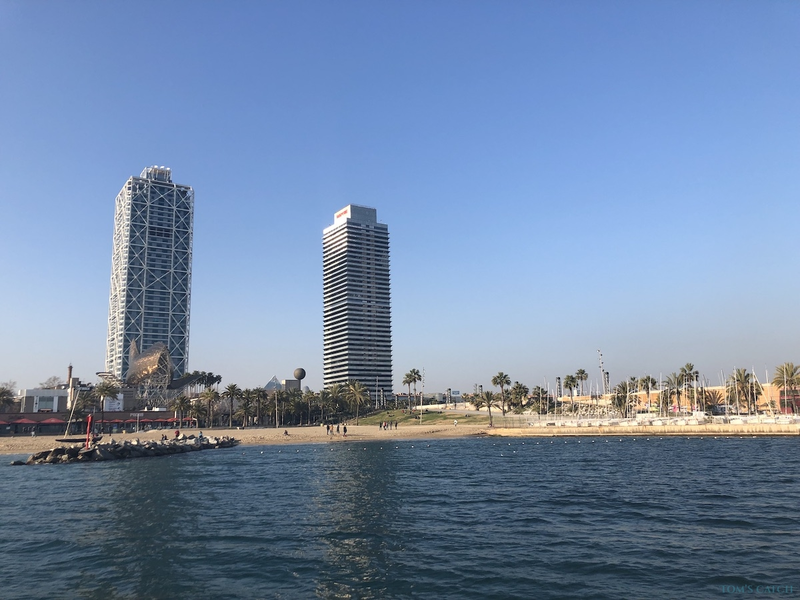 Summer: June, July and August are the best months for angling in Barcelona, the waters off the coast of Blanes or Castelledefels are specifically are much-loved by anglers pursuing giant bluefin tuna (specimens of more than 400 kg can be caught). Drifting, the locals chum loads of natural bait to attract the tuna and as this is extreme fishing, they use 80 lb to 130 lb equipment - for hook bait, they use sardine, anchovy or mackerel. Fall: sea fishing in Barcelona during the months of September and October are excellent for light trolling. The Atlantic Bonito and dolphinfish are fished offshore - generally 40-80 meters deep - using feathers, rapala, yozuri, halco, and other small lures. Locals also fish with light material chumming, primed with sardine, anchovy and/or mackerel, leaving a trail in the sea to attract the fish. Entire sardine, anchovy or sardine pieces are also used as bait. Winter: During the winter months fishing continues to be ever popular. The shipwrecks and rocks are the hot spots for bottom fishing and fishermen do not easily reveal where to find them. With this technique red sea bream, red snapper, green wrasse, white sea bream, fork-beard, conger eel among others. Sardines, squid, octopus bait are used. 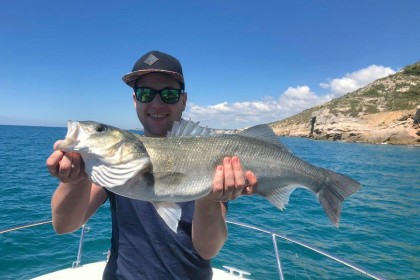 Fishing charters in Barcelona are ideal for all types of sea fishing: you can fish during all seasons and find a vast range of different fish species, making it the ideal place to practice different techniques of fishing, including sea trolling, spinning and jigging. And as huge bonus you will have all the best of Barcelona to explore. Revered as one of the hottest tourist destinations in the world, the Catalan capital of cool is a melting pot of glorious gastronomy, unparalleled architecture, the fashion forward. 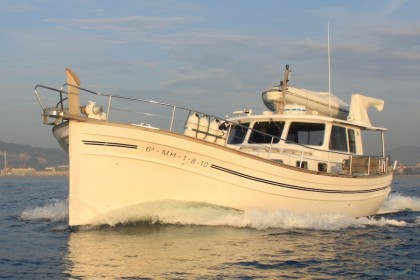 In short, fishing holidays in Barcelona are unmissable. The airport of Barcelona is an international airport located 12 km (7.5 mi) southwest of the centre of Barcelona. 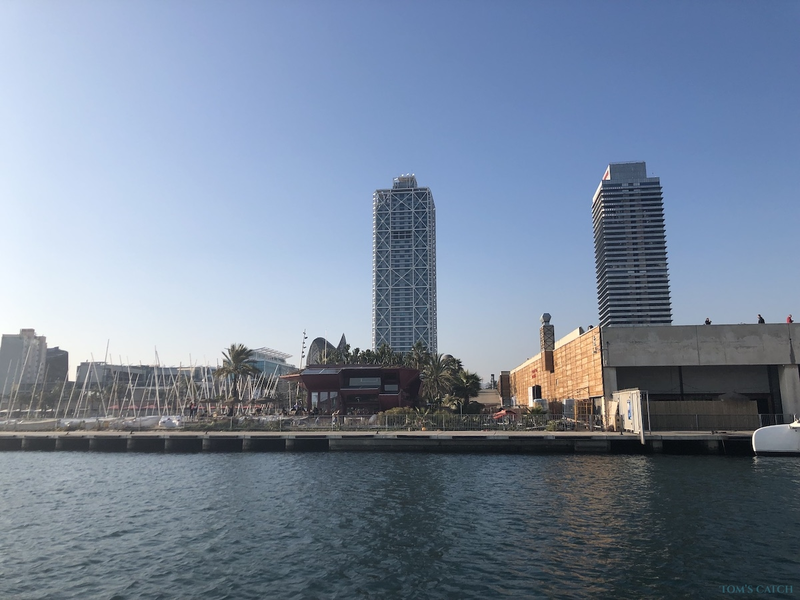 The main ports of Barcelona (Port Vell, Port Olimpic & Port Forum) have car access, access by metro, bus & taxi. Ports of Arenys de Mar, El Masnou, Blanes, Port Ginesta, Aiguadolç (Sitges) and Vilanova have good car access via highway & train.